In another LEGO set that I have had in it’s box and put it together, this one is a major exception. I got this for my birthday last year and put it together right away, but never blogged about it… until now. The details in this set are pretty cool. The horse, Frodo and Gandalf all look really good. The parts in the back of the cart are pretty cool, as well. 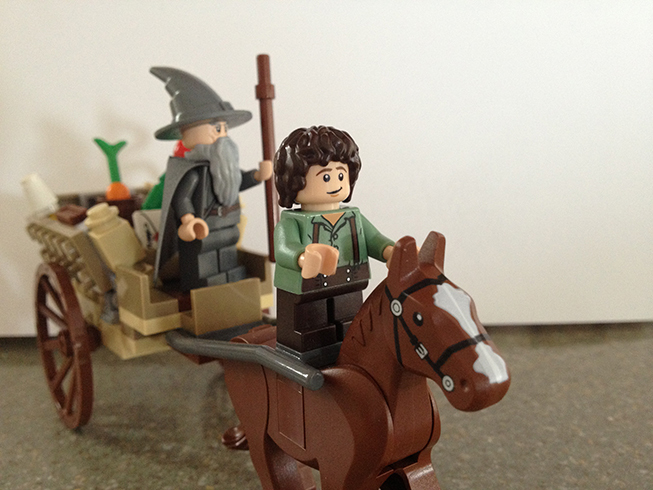 Frodo is not really meant to be riding the horse, but I thought it would be cool to make him be a LEGO daredevil. Not that the cart is going all that fast, but with the bumpy roads it travels over, you never know when one will get bucked off the horse they are standing on. 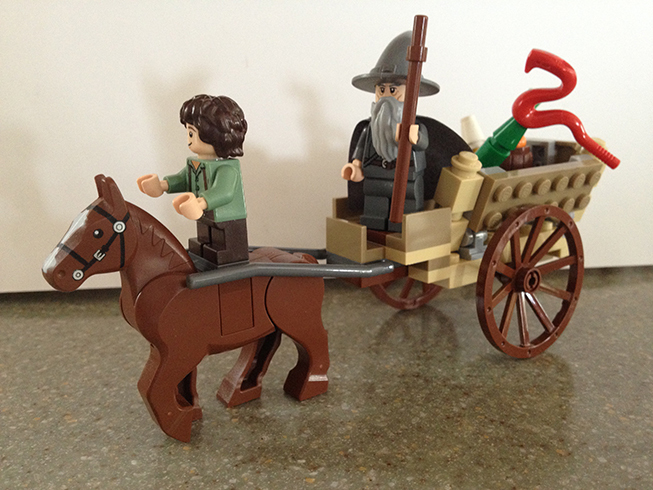 This is just one set of many in the Lord of the Rings LEGO collection. I’ve debated getting more, but for now, I am content with this one. I still have a good five LEGO sets still in their boxes that need to be put together and blogged about. Onward, oh plastic bricks of the netherworld! And now you have Hobbit sets to buy too. Yes, sounds like I’ve got to add to my LEGO sets to buy. This one’s another collectible I must have. 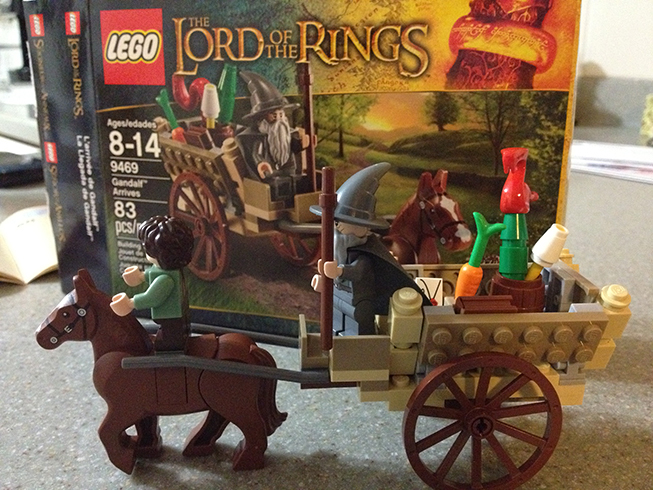 I think it’s a nice little set to start the LOTR LEGO collection off with.